The recipe is simple, through exercise and lifting weights your muscle proteins are broken down. Upon consuming calories (including protein) if the rate of protein synthesis is greater than that of the breakdown then new muscle can be formed. So we have lifting weights + protein = muscle.. but what exactly can be added to that recipe in the form of supplements to get even MORE muscle growth? Let’s find out what the best muscle building supplements are. So if we break down the recipe, we could increase muscle growth by creating more muscle breakdown but also matching that muscle breakdown with protein synthesis. So we need to work harder, and also up the protein. That brings us to the first supplement, and arguably the best supplement to increase muscle growth. As noted earlier in our “muscle building” recipe – we need to break down the muscles and repair them. Protein powder is a readily available supplement that absorbs quickly due to being in a liquid state if you mix it with water! Using protein powder is a great way to hit your protein requirements for the day, and also to ensure you hit your protein if you’re on the go. Arguably one of the best muscle building supplements because protein does exactly that – build muscles. Creatine is produced naturally in the body – it’s made up of three amino acids. It’s also found in high protein food sources like red meat, and fish! When creatine enters the body it turns to creatine phosphate. Your body uses these phosphates for energy, so taking creatine can increase your energy during a workout and also buff up your energy stores. Creatine also hydrates your cells and when this happens and since the cell is holding more ions, water will also follow. This is why you sometimes hear people say they gain weight or water weight while taking creatine because their cells are physically holding more water. When more ions are present in the cells of your muscles including nitrogen, protein synthesis also increases (muscle building). Supplementing protein is cheap, and it’s a simple way to increase the intensity of your workouts by increasing your energy which will allow you to work your muscles harder. It also increases the amount of ions and water in the cells of your muscles which in turn allows for increased protein synthesis. So you can break your muscles down better, and build them up stronger in a nutshell. Referencing the muscle building recipe, if we’re able to break our muscles down more aggressively and also consume protein to create sufficient protein synthesis then we can gain muscle at a faster rate. If you’re tired out after work, and either have a crappy workout or worse don’t workout at all – then stimulants could improve your overall picture. Another scenario is pushing yourself an extra 5 or 10% harder with the use of pre-workout supplements, or a simple caffeine supplement like coffee. Pre-workouts like Jack3d, NOExplode, or other brands do work, and they contain other ingredients like Beta-Alanine which reduces muscle fatigue, Citrulline Malate which can increase muscle volume and overall strength, and even Betaine Anhydrouse which can increase your energy levels, and even raise testosterone while lowering cortisol levels! I’m a bigger fan of just using coffee or a simple caffeine pre-workout but these pre-workout powders DO work and they contain some serious muscle building assistance. With no gimmicks or games, fish oil is a dietary supplement that contains Omega-3 and Omega-6 oils which are both essential. Increase your insulin resistance, you increase the chances that carbohydates turn into protein rather than body fat. Also, maintain brain health, healthy hormone (testosterone) levels, and recover faster so you can work harder next time and increase your working capacity. Alongside all of these supplements you should have a nutrition plan dialed in – but sometimes your body needs more than you plan for or intake from food sources alone. Wouldn’t you want to bridge the gap and ensure your body is getting everything it needs to be healthy, strong, and most important build muscle? A good multi-vitamin will contain iron, calcium, potassium, calcium, and other essential vitamins and minerals that keep you gaining for longer. Multi’s really aren’t expensive – so it’s a great way to bridge the nutrition gap and ensure you’re getting everything you need. 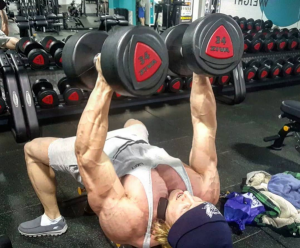 Thanks for reading this post on this best muscle building supplements, I’ll soon be adding a section that focuses on getting your nutrition and workout program dialed in to ensure the best muscle building success.